Draft: 2008, Texas Rangers, 16th rd. Justin Ryan Miller...Graduated from Ridgefield (CA) High School...Attended Bakersfield College and Fresno State University...Pitched for the 2008 College World Series champion Fresno State Bulldogs. Had his contract selected from Triple-A Syracuse on May 25...Went 7-1 with two saves, 11 holds and a 3.61 ERA in 52.1 innings pitched with the Nationals...Recorded career-highs in wins (7), saves (2), innings pitched (52.1 IP) and strikeouts (60)...Ranked fourth among National League relievers (min. 25 IR) with a 11.5% inherited runners scored (3-of-26)...His seven wins were tied for fifth among National League relievers...Tossed 10.2 consecutive scoreless innings from May 26 to June 13...In his last 10 games, he went 1-0 with two holds, 1.23 ERA (1 ER /7.1 IP), eight strikeouts and three walks...Offered scoreless relief in 33 of his 51 appearances... Tossed more than one inning of relief in 10 outings (4-1, 2.84 ERA, 22 SO) and recorded a career-high 3.0 innings pitched on two occaions (6/2 at ATL, 6/25 at TB)...Went 2-0 with one save and a 0.00 ERA (0 ER/13.2 IP) in nine games with Triple-A Syracuse...Struck out 23 batters, walked three and surrendered just three hits. Had four separate stints in the big leagues in his first season with Colorado, going 3-3 with a 4.05 ERA (33.1 IP, 15 ER) in 34 games. Began the season at Double-A New Britain, but would pitch for Colorado or Triple-A Albuquerque for most of the season. Was recalled from Triple-A Albuquerque Sept. 2 for his fourth stint with the Rockies in '15 ... sent down on Aug. 23 after being recalled from Albuquerque July 28 … selected from Triple-A June 17, optioned June 26 … returned June 30, optioned July 4. Scored on eight times in 34 Major League appearances over the four stints. Struck out 38 batters, while walking 11, fanning 10.26 per nine innings. Sept. 7 at San Diego, became the first Rockies reliever ever to fan all four batters faced in a relief appearance … fanned eight consecutive batters Sept. 7-11, a Rockies reliever record and the longest streak in MLB by a reliever since David Robertson struck out eight in a row April 29-May 4, 2012. Held opponents to a .178 (21-for-118) batting average. Did not allow a run in July (5.2 IP) … gave up jut one in June (4.1) … posted an 0.75 ERA (12.0 IP, 1 ER) over 13 September games, going 2-0 with a save. First win of season June 25 vs. Arizona … seven-inning scoreless streak snapped Aug. 4. First Major League loss Aug. 10 at New York Mets … lost Aug. 18 vs. Washington. Career-high 2.1 innings August 22 vs. Mets, allowing a career-high tying three runs. Notched his first Major League save Sept. 2 vs. Arizona. Began campaign at Double-A New Britain, where he allowed one earned run in 10.2 innings from April-May 2. Transferred to Triple-A May 6 … posted a 2.30 ERA (27.1 IP, 7 ER) with seven saves at Triple-Albuquerque in 25 games, striking out 33 and walking eight. Overall in his 31 Minor League appearances, went 1-3 with a 1.89 ERA (38.0 IP, 8 ER) with seven saves … fanned 43, walking only 12 … allowed two homers. Made his Major League debut with Detroit April 18 vs. Los Angeles-A but spent a majority of the season with Triple-A Toledo. Made his Major League debut April 18 vs. Los Angeles-AL, pitching two scoreless innings with one hit and one strikeout. Over the course of multiple stints with Detroit, went 1-0 with a 5.11 ERA (12.1 IP, 7 ER) in eight relief appearances. Made 38 appearances with Toledo, going 2-1 with a 1.81 ERA (44.2 IP, 9 ER), five saves, 12 walks and 39 strikeouts. In a 13-game stretch from June 28-Aug. 4 for Toledo went 1-1 with a save and a 1.50 ERA (18.0 IP, 3 ER). Limited to 27 games for Double A Frisco and Triple A Round Rock in the Texas Rangers organization during an injury-plagued 2013 season...Opened up the season on the disabled list, as he was still recovering from Tommy John surgery performed in 2012...Assigned to Frisco on an injury rehabilitation assignment from May 17-June 12 -- appeared in eight games with the RoughRiders, compiling a 8.71 ERA (6.2IP/6ER) and seven strikeouts...Reinstated from the disabled list and assigned to Frisco on June 12...Did not allow a run in his final six appearances with Frisco June 21-July 7 (6.0IP/0ER)...Had his contract transferred to Round Rock on July 10 -- compiled an 0-1 record and a 9.82 ERA (11.0IP/12ER) in 11 games before landing on the disabled list for the remainder of the season on August 20 with a left oblique muscle strain. Did not pitch in 2012 after having successful surgery to repair a partially torn ulnar collateral ligament in his right elbow on April 18...the surgery was performed by Rangers Team Physician Dr. Keith Meister at the Medical Center of Arlington...Miller could begin throwing off a mound in February, in which case he could pitch in games before midseason...the Rangers placed Miller on unconditional release waivers on April 23 and re-signed him to a minor league contract on April 30...club purchased his contract and added him to the 40-man roster on October 30...tossed 2.0 scoreless innings over 3 spring outings for Texas, last on March 14 vs. Colorado in Surprise (1.0 IP, 1 H, 0 R, 1 SO). Named Rangers Minor League Reliever of the Year aftergoing 9-1 with a 1.81 ERA (14 ER/69.2 IP) and 13 saves over 48relief appearances with Frisco (AA), his first games ever above Aball...was 13-for-17 in save chances, as opponents hit .185 (46-248) with 2 HR, 24 walks, and 77 strikeouts...ranked amongqualifying Texas League relief leaders in opponents average (1st,.185), baserunners per 9 (2nd, 9.56), SO/9 ratio (3rd, 9.95), BB/9ratio (3rd, 2.71)...his 13 saves ranked 2nd in the Texas organization and 3rd in the TL, while 29 games finished also ranked 3rd inTL...lefties hit .187 (17-91), right-handers batted .185 (29-157)...allowed just 4 of 22 (18.2%) inherited runners to score...established career highs for innings, strikeouts, wins, and appearances...was 6-0, 0.96 (4 ER/37.1 IP) in 24 home outings at DrPepper Ballpark in Frisco, going 4-for-4 in save chances...wasalso 8-0, 0.94 (6 ER/57.1 IP) in his 39 night outings, going 10-for-11 in save opportunities...opposition hit .145 (10-69) with RISP...allowed runs in 3 straight outings May 18-21-23 to raise seasonERA to 4.01, but over final 31 outings beginning May 29, had a0.60 ERA (3 ER/45.0 IP) and converted all 11 save chances inthat span...began that stretch with 18.1 scoreless innings over 11games from May 29-July 4...tossed 10.1 scoreless innings to endthe year and was named Rangers Minor League Reliever of theMonth for August. Spent entire campaign with Bakersfield...held opposingright-handed batters to a .182 (20-108), while opponents hit .205(35-171)...posted a 1.33 ERA (3 ER/20.1 IP) over first 16 appearances...posted a 14.54 ERA (7 ER/4.1 IP) over next 3 appearances from June 7-15 to raise season ERA from 1.33 to 3.65...placed on DL June 17 with right elbow inflammation...activatedfrom DL July 30...posted a 2.42 (6 ER/22.1 IP) over 13 appearances after return from DL to lower ERA from 3.65 to 3.06. Split the season between AZL Rangers, Spokane, and Bakersfield...combined to go 1-2, 3.34 (11 ER/29.2 IP) with 4 saves and37 strikeouts in 24 appearances...opposing right-handers combined to bat .105 (6-57), while opponents hit .178 (18-101) overall...began the campaign with AZL Rangers, promoted to Spokaneon July 16...promoted to Bakersfield on Aug. 2...went 1-0, 1.29(2 ER/14.0 IP) with 2 saves in first 10 outings for Bakersfield...gave up 6 ER in 2.1 IP over 3 appearances in Cal League playoffs. Spent first professional season with Spokane...heldopposition to a .067 average (2-30) with RISP...recorded first prosave July 22 against Salem-Keizer...made pro debut July 15 vs.Yakima...allowed 2 runs in 0.2 innings of work during one appearance in NWL playoffs. April 24, 2019 Washington Nationals sent RHP Justin Miller on a rehab assignment to Potomac Nationals. 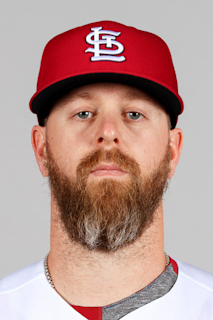 April 13, 2019 Washington Nationals placed RHP Justin Miller on the 10-day injured list. Lower back strain. May 25, 2018 Washington Nationals selected the contract of RHP Justin Miller from Syracuse Chiefs. May 15, 2018 RHP Justin Miller assigned to Washington Nationals. April 23, 2018 RHP Justin Miller assigned to Syracuse Chiefs. March 22, 2018 RHP Justin Miller assigned to Washington Nationals. July 16, 2017 Salt Lake Bees released RHP Justin Miller. February 2, 2017 RHP Justin Miller assigned to Salt Lake Bees. November 8, 2016 Los Angeles Angels signed free agent RHP Justin Miller to a minor league contract and invited him to spring training. October 13, 2016 RHP Justin Miller elected free agency. October 12, 2016 Colorado Rockies sent RHP Justin Miller outright to Albuquerque Isotopes. September 2, 2016 Colorado Rockies activated RHP Justin Miller from the 15-day disabled list. August 19, 2016 Colorado Rockies sent RHP Justin Miller on a rehab assignment to Albuquerque Isotopes. July 26, 2016 Colorado Rockies sent RHP Justin Miller on a rehab assignment to Albuquerque Isotopes. July 5, 2016 Colorado Rockies placed RHP Justin Miller on the 15-day disabled list retroactive to July 3, 2016. Left oblique strain. September 2, 2015 Colorado Rockies recalled RHP Justin Miller from Albuquerque Isotopes. August 23, 2015 Colorado Rockies optioned RHP Justin Miller to Albuquerque Isotopes. July 28, 2015 Colorado Rockies recalled Justin Miller from Albuquerque Isotopes. July 4, 2015 Colorado Rockies optioned RHP Justin Miller to Albuquerque Isotopes. June 30, 2015 Colorado Rockies recalled Justin Miller from Albuquerque Isotopes. June 26, 2015 Colorado Rockies optioned RHP Justin Miller to Albuquerque Isotopes. June 17, 2015 Colorado Rockies selected the contract of Justin Miller from Albuquerque Isotopes. May 6, 2015 RHP Justin Miller assigned to Albuquerque Isotopes from New Britain Rock Cats. April 8, 2015 RHP Justin Miller assigned to New Britain Rock Cats from Albuquerque Isotopes. November 19, 2014 Colorado Rockies signed free agent RHP Justin Miller to a minor league contract and invited him to spring training. November 19, 2014 RHP Justin Miller assigned to Albuquerque Isotopes. November 3, 2014 RHP Justin Miller elected free agency. August 31, 2014 Detroit Tigers sent RHP Justin Miller outright to Toledo Mud Hens. August 30, 2014 Detroit Tigers designated RHP Justin Miller for assignment. August 12, 2014 Detroit Tigers optioned RHP Justin Miller to Toledo Mud Hens. August 11, 2014 Detroit Tigers recalled Justin Miller from Toledo Mud Hens. May 18, 2014 Detroit Tigers optioned RHP Justin Miller to Toledo Mud Hens. April 27, 2014 Detroit Tigers recalled Justin Miller from Toledo Mud Hens. April 26, 2014 Detroit Tigers optioned RHP Justin Miller to Toledo Mud Hens. April 18, 2014 Detroit Tigers recalled Justin Miller from Toledo Mud Hens. March 14, 2014 Detroit Tigers optioned RHP Justin Miller to Toledo Mud Hens. November 20, 2013 Detroit Tigers selected the contract of Justin Miller from Toledo Mud Hens. September 18, 2013 Detroit Tigers signed free agent RHP Justin Miller to a minor league contract. September 18, 2013 Justin Miller assigned to Toledo Mud Hens. September 1, 2013 Texas Rangers released RHP Justin Miller. August 20, 2013 Round Rock Express placed RHP Justin Miller on the 7-day disabled list. July 9, 2013 RHP Justin Miller assigned to Round Rock Express from Frisco RoughRiders. June 12, 2013 Texas Rangers optioned Justin Miller to Frisco RoughRiders. May 17, 2013 Texas Rangers sent RHP Justin Miller on a rehab assignment to Frisco RoughRiders. April 11, 2013 Texas Rangers recalled Justin Miller from Frisco RoughRiders. April 4, 2013 Justin Miller roster status changed by Frisco RoughRiders. March 12, 2013 Texas Rangers optioned RHP Justin Miller to Frisco RoughRiders. October 30, 2012 Texas Rangers selected the contract of Justin Miller from Round Rock Express. September 25, 2012 Justin Miller roster status changed by Round Rock Express. April 29, 2012 Texas Rangers signed free agent RHP Justin Miller to a minor league contract. April 23, 2012 Texas Rangers released RHP Justin Miller. April 4, 2012 Round Rock Express placed RHP Justin Miller on the 7-day disabled list. March 19, 2012 Texas Rangers optioned RHP Justin Miller to Round Rock Express. November 18, 2011 Texas Rangers selected the contract of Justin Miller from Frisco RoughRiders. October 17, 2011 RHP Justin Miller assigned to Surprise Saguaros. March 31, 2011 Justin Miller assigned to Frisco RoughRiders from Myrtle Beach Pelicans. March 19, 2011 RHP Justin Miller assigned to Texas Rangers. July 30, 2010 RHP Justin Miller assigned to Bakersfield Blaze. June 17, 2010 Bakersfield Blaze placed RHP Justin Miller on the 7-day disabled list. August 2, 2009 RHP Justin Miller assigned to Bakersfield Blaze from Spokane Indians. July 16, 2009 Justin Miller assigned to Spokane Indians from AZL Rangers. June 21, 2009 AZL Rangers signed free agent Justin Miller. June 19, 2009 RHP Justin Miller elected free agency.